With the Steamfunk Mystery Dinner Party coming up in February, I have been reading and watching more murder mysteries as of late, which is really saying something because, after speculative fiction, mysteries are my favorite. I like puzzles. I enjoy solving problems. Whenever I am bored, I like to read a good detective novel, or watch a murder mystery on television or the big screen. I always try to unmask the culprit before the end. Sometimes I am right; sometimes, I am (happily) way off. The world’s first “consulting detective”. While Edgar Allen Poe’s C. August Dupin was the first police detective, working diligently to solve the Murders in the Rue Morgue – the first modern murder mystery story – he was not nearly as brilliant as the flawed Victorian, nor as renown. Recently gaining even greater popularity with the Sherlock Holmes movie and its sequel, Sherlock Holmes: A Game of Shadows, the world’s most famous detective continues to show up Scotland Yard in the BBC’s acclaimed Sherlock and solves mysteries in America in the CBS series, Elementary. 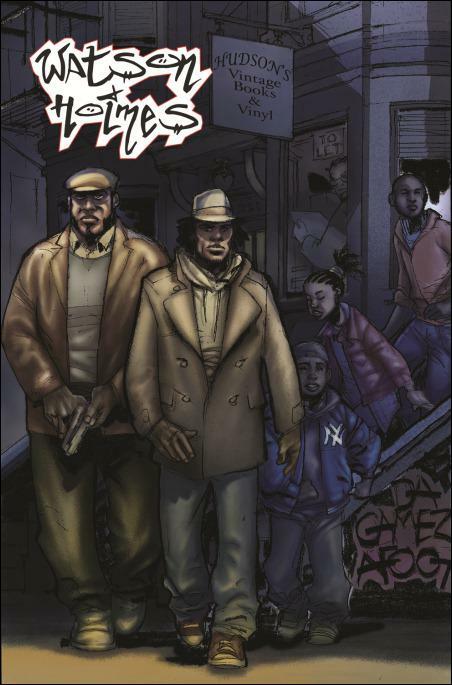 Holmes has even seen a revival in graphic form, with the digital comic book, Watson and Holmes, in which a Black Sherlock Holmes and John Watson solve cases in urban America and with the interactive novel, Steampunk Holmes, in which Holmes and Watson are born again Steampunks. Agatha Christie’s idiosyncratic Belgian police inspector turned London private investigator. With his signature mustache carefully trimmed and waxed, Poirot uses his “little gray cells” to solve the most baffling of crimes, such as the one in Murder on the Orient Express, considered one of the greatest detective novels of all time. Upon Agatha Christie’s death, in 1976, the New York Times published a painting of the famous, dandy detective on the front page along with his obituary…the only fictional person to receive such an honor. The headline reads: “Hercule Poirot Is Dead: Famed Belgian Detective, Hercule Poirot, the Detective, Dies”. The last novel starring Poirot was Curtain, released to the public on October 15, 1976, two months after Agatha Christie’s death. The novel was written – along with Christie’s other famed detective, Ms. Jane Marple’s last story Sleeping Murder – in the mid-1940’s, to be published at a later date. Batman was never just a costumed crime-fighter. From the beginning, he was “The World’s Greatest Detective”, who combined the inductive reasoning of Sherlock Holmes (not deductive reasoning–we will explore the differences in the next post) with extraordinary prestidigitation, stealth, martial and technological skills. In fact, Batman first appeared in Detective Comics #27 (1939) and did not get his own title for a year. The first Batman story, The Case of the Chemical Syndicate, was originally written in the style of the pulps, and Batman showed little remorse over killing or maiming criminals. Batman proved a hit character, and he received his own solo title in 1940, while continuing to star in Detective Comics (D.C.). By that time, Batman and the company’s other major hero, Superman, quickly became the cornerstones of the company’s success. Since then, Batman’s huge popularity has continued to grow in several films, graphic novels, animated television series and films, comic strips and in a campy 1960s live-action television show. Columbo, was a Los Angeles police lieutenant working in Homicide. He solved his cases through extremely dogged and careful pursuit of all clues. Columbo’s razor-sharp analysis would always be hidden by a seemingly shambling, disorganized nature that always made the criminal underestimate him and make mistakes. Unlike most detective shows, Columbo was never a whodunnit. At the beginning of each episode, we saw the murderer carefully execute his plan. Already knowing who was responsible, we were left to derive our enjoyment from the battle of wits that would follow: Columbo vs. the murderer. In each episode, Columbo’s would also make vague comments about his wife and his past and would whistle the song, This old man came rolling home – clues to unravel the mystery of the Lieutenant himself. From author Alexander McCall Smith comes Mma Precious Ramotswe, protagonist of the spectacular No. 1 Ladies’ Detective Agency series of novels and HBO series, with actress / singer Jill Scott starring as Precious Ramotswe. Mma Ramotswe is Botswana’s first woman detective. Unlike other “traditionally-built” (i.e. 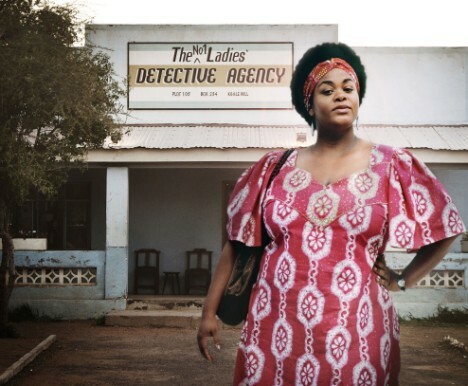 voluptuous) beauties of Botswana, Ramotswe has been interested in solving puzzles and mysteries since childhood. She retaining many traditional values, is suspicious of technology and holds quite old-fashioned ideas about decency. As a detective, Mma Ramotswe is primarily intuitive and quite maverick in her methods. Less concerned with the law and more so with moral values, she does not often get involved with the police and prefers the traditional laws and customs of her people. Author Walter Mosley’s African-American WWII veteran, turned private investigator, Easy Rawlins is refreshingly human, even in sometimes disappointing ways. He’s a proud man trying to cope with the social injustices of his time, as well as his own personal demons and he doesn’t always do a great job of it. He can, at times, be cruel or petty and sometimes a bit too easily led astray by temptations of the flesh. His obsessions with acquiring wealth and privacy sometimes lead him into making poor decisions. His faults, however, are tempered by his passion to rise above what has been pegged as his station in life and by an innate sense of what is right and especially what is wrong. 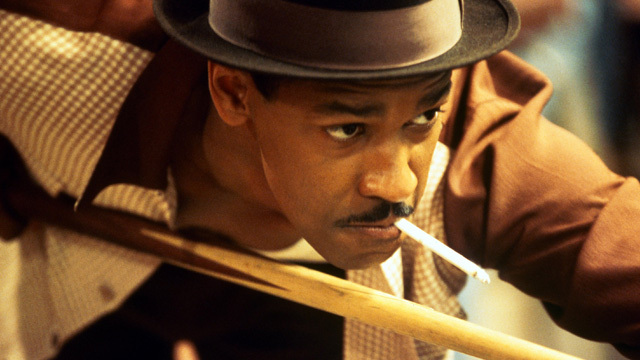 In 1995, the novel Devil in a Blue Dress was made into a Hollywood movie, starring Denzel Washington as Easy Rawlins. The movie also featured a chilling performance by Don Cheadle as Easy’s best friend and sometimes sidekick, the stone-cold killer, Mouse. Beginning in 1990 with Devil in a Blue Dress, the eleventh novel in the Easy Rawlins series, Little Green, releases in 2013. Another African-American detective featured in a series of twenty novels and three films, Detective Alex Cross is the brilliant brain-child of author James Patterson. Dr. Cross is a forensic psychologist who first works for the Washington D.C. police Homicide Division and later joins the F.B.I. 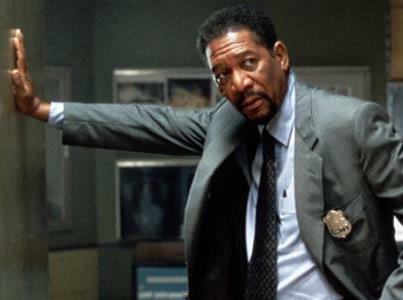 Dr. Cross is the protagonist of twenty novels and has been played extraordinarily well by Morgan Freeman in film adaptations of the novels Along Came a Spider and Kiss the Girls. Dr. Cross was also portrayed by Tyler Perry in the film, Alex Cross…umm…no comment. After receiving a doctorate in psychology from Johns Hopkins Univesity, Dr. Cross started a private practice and worked as a psychologist for two years. He eventually decided to become a policeman after he became disillusioned with the politics of the medical community and because the people in his neighborhood could not afford his psychological services, while white people would not see a “black shrink”. Dr. Cross never expected to like police work, however, he became obsessed with solving crimes and soon became one of the best – and most sought after (for consultations and assistance with solving crimes) – detectives in the country. Dr. Cross lives with his grandmother (Nana Mama) and three children, Damon, Janelle (Jannie), and Alex Jr. (Ali). His wife, Maria Simpson Cross, a social worker, was murdered. Harry Blackstone Copperfield Dresden is the protagonist of fifteen novels, several graphic novel adaptations and a television series. The Dresden Files is a series of “urban fantasy” novels, by author Jim Butcher, about Chicago’s first – and only – hardboiled, wizard private investigator. The Navajo woman detective, created by married writing team, David and Aimee Thurlo, Ellah Clah works to solve crimes while struggling to heal the rift that has grown between traditional and non-traditional beliefs in the Navajo community, in her family and within herself. Ella works as an FBI agent out of Los Angeles. Her father, a Christian minister and her mother, a woman who kept to the traditional Navajo ways, allowed both of their children – Clifford, Ella’s older brother and Ella – to choose their own paths. Clifford chose the more traditional way and studied to become a hataalii – a Navajo holy man, who protects the nation and community by performing rituals, rites and blessings. Ella left the reservation, went to college in California and became an FBI agent. Ella returns to the reservation when her father is murdered, discovering that her father had been engaged in building a new church on the reservation. The project had split the community between traditional and non-traditional Navajos. A primary suspect in the murder is Ella’s brother, Clifford. Ella, forbidden by her supervisor to get involved with the investigations, works behind the scenes, trying to solve her father’s murder. Detective Chief Inspector John Luther begins the BBC psychological crime drama series, Luther, working for the British Serious Crime Unit and goes on to become a key member of the Serious and Serial Crime Unit. While Luther is obsessive, possessed, fixated and sometimes violent, he is also a genius and a dedicated police officer. Luther has paid a heavy price for his dedication and has never been able to prevent himself from being consumed by the darkness of the crimes with which he deals. For Luther, the job always comes first. His dedication to solving cases and bringing criminals to justice is a blessing and a curse – for him and for those close to him. 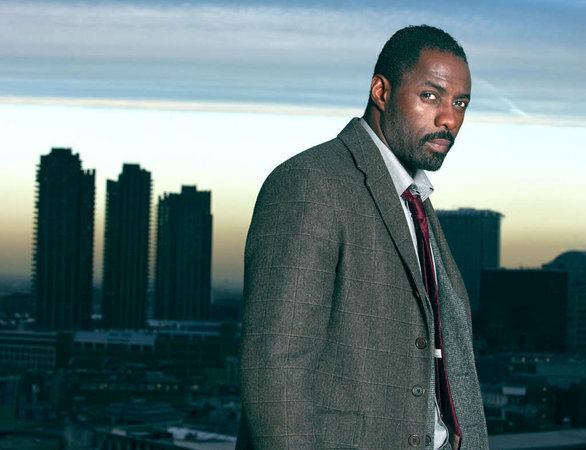 Brilliantly portrayed by actor Idris Elba, Luther is my favorite detective and Luther is my favorite television series. Based one of the most celebrated officials of the Tang and Zhou Dynasties of China, Di Renjie, also known as Detective Dee, is the protagonist of several mystery novels, two television series and the popular martial arts mystery film, Detective Dee and the Mystery of the Phantom Flame, an action-packed, visually breathtaking mystery starring some of China’s top acting talent, including singer / actor Andy Lau in the titular role. Breathtakingly choreographed by martial arts master and fight choreographer / actor, Sammo Hung and directed by master filmmaker Tsui Hark, this intricately plotted whodunit is set in an exquisitely realized version of ancient China. On the eve of her coronation as Empress, China’s most powerful woman is haunted by a chilling murder mystery: seven men under her command have burst into flames, leaving behind only black ash and skeletal bones. Recognizing this as a threat to her power, she turns to the infamous Di (Dee) Renjie, a man whose unparalleled wisdom is matched only by his martial arts skills. As Di battles a series of bizarre dangers, he unveils a chilling truth that places his life, and the future of an entire dynasty, in peril. 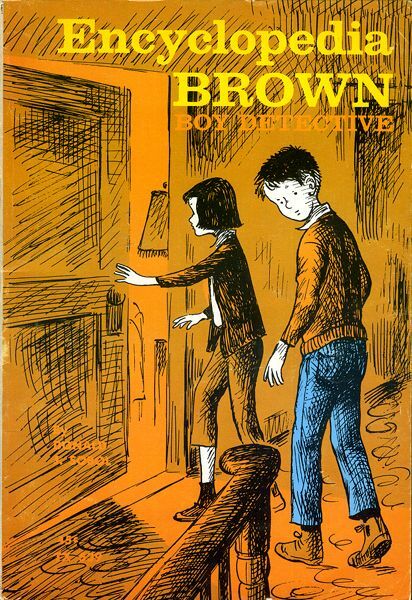 Leroy “Encyclopedia” Brown is a ten-year old boy genius who puts his talents to work fighting crime in the small town of Idaville. Idaville is so famously tough on crime that “Hardened criminals had passed the word: ‘Stay clear of Idaville.’” This came as a result of the work of Encyclopedia – eternal fifth-grader, voracious reader (hence the nickname), and ace private eye. During the school year, Encyclopedia’s father, the police chief of Idaville, recounts his toughest cases over dinner. Without fail, Encyclopedia solves those cases before dessert. In the summer, Encyclopedia hangs out his friends and foils the nefarious plans of countless child criminals – young Moriarties to his young Holmes. Encyclopedia’s major nemesis, however, is Bugs Meany, ringleader of a gang called The Tigers and as tough and thuggish as they come. Accompanied by a large supporting cast – notorious poachers, motorcycle-riding teenage troublemakers, glamorous movie stars in town for the weekend – Encyclopedia, Sally, and Bugs star in twenty nine books and an HBO cable series. Those are my favorites. Which detectives do you most admire? Which novel, series, or movie detective is your favorite and why? Posted by Balogun on November 25, 2012 in Adventure, Science Fiction, Speculative Fiction, Steampunk, Thriller and tagged Alex Cross, balogun, black speculative fiction, detective, John Luther, milton davis, Mystery Dinner Party, sherlock holmes, steamfunk, Steamfunk Mystery Dinner Party, steampunk. I agree with almost every entry on your list – some I have either not read nor watched. Luther is a great show – often a little disturbing, but amazing acting. I begin each Dresden Files book with the best intentions, but I have yet to complete one – even though they are entertaining! I’ve been watching both Murdoch Mysteries versions – they grow on you, so I would highly recommend. http://www.imdb.com/title/tt1091909/ I can’t say enough about Midsomer Murders. But my all time favorite is Sherlock. Thanks for the post! Great article. You mentioned a few that I didn’t know about & will have to check out. Since you slip far enough into genre crossover territory to include Dresden, I really have to point you in the direction of the absolute best Crime/Horror crossover series I’ve ever read. John Connolly’s Charlie Parker series is as hard boiled as they come. It’s extremely dark. Charlie has suffered & will suffer more. The first book in the series is pretty much a hard boiled detective book, with just a few hints of the supernatural in the background, but these hints grow into much more as the series progresses & for a series which is still marketed as crime fiction, Connolly gives Stephen King a real run for his money in the supernatural horror stakes. Then there’s the guy who got me, a notoriously non-sporty guy (I loathe sports. If I see a bunch of guys & a ball on my TV screen it’s turned off immediately) to read a series based on a sports agent, who solves mysteries. I speak of course, of Myron Bolitar, creation of Harlan Coben. Superb stuff. I am about to hunt down the Charlie Parker series. It sounds like a MUST read! If you want to read them in order, which I always prefer, you can find a list here. Some great mentions here, and I really have to catch up on Luther. I have to add Castle to the list, as though it’s very formulaic detective TV detective business on the surface, further viewing and greater script writer confidence makes for a show which gets the balance perfectly between humour, romance and on many occasions, geeky. There are some moments of genius in there, namely the careful sprinkling of Firefly references. Yes, Castle is another great detective series. Maaaaan, everytime I think you done did it, you done DID IT AGAIN!! I’m like what does he KNOW about Encyclopedia Brown?!? He was my FAV growing up. And I love the Jeremy Bret “Sherlock Holmes” – no other guy does it for me – certainly not Basil Rathbone. Then you put the smack down w/Hercule Poirot!!!??? I didn’t think too many knew about him. Now, I know he’s not part of a serial but could we just have Mr. Virgil Tibbs as an Honorable Mention anyway? Great work as usual, Chief. 🙂 He said Encyclopedia Brown, I’m just too through right now. You didn’t think too many people knew about Hercule Poirot? Seriously? Even without the long running TV version with David Suchet & the films with Peter Ustinov, I would have thought he was a pretty well-known character. As far as Agatha Christie goes though, I have to say I actually preferred the Miss Marple books. Another British character who should never be left out is, of course, Sexton Blake, who at one time had his office just down the road from Holmes’. His stories are difficult to come by. I recall a teacher having us read copies of a Blake mystery in elementary school, however, i have never seen an actual Sexton Blake book. Mister Tibbs is one of the great, iconic detectives. That slap heard round the world is one of my favorite scenes in filmdom! There are literally thousands of Sexton Blake stories. I know of a really good website devoted to him, but it’s been compromised & currently dumps trojans on your computer if you go there. He’s a bit like Nick Carter, as in he started in the late 1800s & continued through until the 70s, with updating of the setting as they went along. Michael Moorcock’s first ever published novel was #502 of the 5th series of the Sexton Blake Library, under the house pseudonym of Desmond Reid. There are a good few book collections of Sexton Blake stories available from Amazon. Obviously they’re cheaper & more common here than in the USA. They made a movie of Di? Damn, I have to see that now. Never been a huge mystery fan, so I’m unfamiliar with several names on your list. I’ll definitely be looking up Dr. Cross psychology+mystery=I’m there! Yeah, the Di movie is incredible! Dr. Cross is a great character, befitting James Patterson’s thrilling stories. Thanks, for your feedback, Jessica!